I still consider the Blade mCX to be one of the most important and influential RC helicopters to have hit the micro indoor heli market in the past decade. 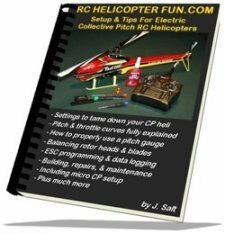 This little heli has, and continues to introduce so many people to the hobby in an inexpensive and more importantly - fun successful way. Despite the low cost, the quality and durability are very good. This is certainly not a piece of junk that will end up in the trash after several weeks of flying. Properly cared for, the mCX will offer years of flying fun. In the hundreds of e-mails I get from people who have E-flite's mCX, no one has ever said anything truly bad about it. It is easy to fly, the quality is better than pretty much anything else in this segment, it is light weight, and parts are flexible making it very hard to damage even with some pretty aggressive crashes. The Blade mCX platform has and will continue to grow into other exciting offspring such as the Blade mCX2 or micro fixed pitch single rotor such as the Blade mSRx or something completely different like a Blade mQX quadrotor. The best thing about the Blade mCX is the fact it appeals to such a wide range of RC enthusiasts. 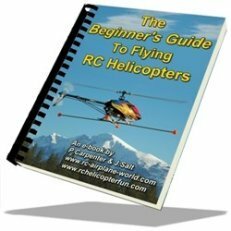 From the first timer who has never picked up the controls to a radio controlled device before, up to the advanced RC helicopter or fixed wing pilot wanting a fun way to keep flying indoors when the outside weather is less then ideal. What Sets The Blade mCX Apart & Makes It So Popular? There are many reasons the mCX outshines other micro electric coaxial helicopters on the market, but it all starts with the 5 in 1 control board. The 5 in 1 board is the "brains" of this helicopter and the only reason something this small can fly so well. Never before has this much micro electronic sophistication been available so inexpensively, well at least when it was first introduced on the market several years ago. The 5 in 1 controls the power to both coaxial rotor motors and does so with absolute precision while constantly calculating how much power to give each rotor to turn the heli left or right, increase or decrease altitude, or just hold a solid hover. It may seem simple at first glance, but once you analyze all the physics that are going on during a flight being controlled by this little circuit board, you start to appreciate the complexity. A yaw rate gyro is built into the 5 and 1 unit and works in seamless harmony with the motor control circuitry to stop unwanted yaw with robotic precision. The two linear servos that manipulate the swashplate are also mounted directly on the 5 in 1 board saving so much weight & space over using individual micro servos. Perhaps the most exciting bit of circuitry crammed onto this tiny control board is the 4 channel receiver that uses DSM2 modulation. This is what sets all of E-flite's micro helicopters apart from the competition. DSM2 is the proven and bullet proof 2.4 GhZ spread spectrum modulation method developed by Spektrum/JR. This not only all but eliminates interference issues, it opens up a whole new world since the Blade mCX can be controlled with not only the very basic radio that comes with the ready to fly kit, but much more advanced computerized Spektrum or JR radios that use the new DSM2 technology. 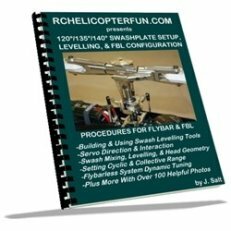 As you grow in this hobby, this is something you will really appreciate making it possible to control all your RC aircraft from one good radio saving time, money, and resources. This unique system of universal control is called Bind & Fly (BNF) and in my opinion is one of the most beneficial side features that have come out of spread spectrum modulation. 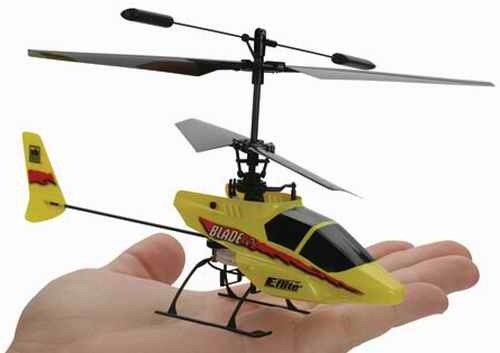 All of E-flite's micro helicopters use DSM2 modulation. Electronic "guts" aside, the other factors that keep pushing the mCX to the top are fantastic stability, amazing price, crash durability, all topped off with E-flite's amazing parts support network world wide. IT'S JUST PLAIN FUN TO OWN & FLY! As I mentioned this little heli is so stable. I have never flown any other coaxial that is as stable as the mCX or the mCX S300. They can hover in a solid spot for well over a minute with no pilot correction. mCX's spin(pirouette) very quickly when given a command to do so or will pirouette turtle slow with a reduced rudder stick command. Lift control is very linear. Paired with a Spektrum or JR computerized radio that allows you to smooth out the mid range of the throttle curve will further improve throttle response in the mid stick range improving hover control. Cyclic control is predictable and gentle. Blade mCX's are certainly not going to win any air races, if you want that kind of speed you will need to move up to a larger micro coaxial like the Blade CX3 or the fixed pitch single rotor micro rocket in Blade's hanger - the Blade mSRx . The mCX doesn't like any kind of wind. To put it more accurately - air movement. Yes, even the gentle air movement off a slowly turning ceiling fan, heat/AC duct, or convective air currents coming off a radiator or fireplace will throw it around. This is very common with all micro coaxial helicopters, but since the Blade is one of the smallest weighing in at only one ounce, as you can imagine, it doesn't take much air movement to toss it about. Flight time out of the included single cell, 110 mAh 3.7 volt LiPo battery will vary between 6 and 10 minutes depending on how aggressively you fly. 7-8 minutes is the norm for general fun flying. The two coreless motors that power the rotors and the 5 in 1 are very efficient to produce those kind of flight times out of a tiny 110 mAh battery. The one must-have accessory everyone agrees on for the mCX (or any electric RC helicopter for that matter) is extra batteries. You can never have enough it seems since flying is so fun and so addictive. It is very frustrating waiting for your single battery to charge between flights. Speaking of charging, it takes about 35 minutes. 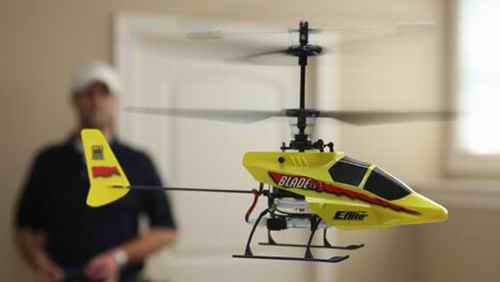 The Blade mCX is best suited to the first time RC heli pilot for indoor fun. I even still have fun with my mCX perhaps because I am still taken back when I think of the amount of micro technology that is crammed into it along with a good old mechanical flybar for impressive stabilization.